Inspiration comes in a variety of colors, shapes and sizes, all you have to do is look for it. 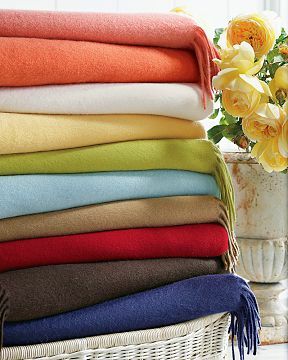 The photo above is a color collection put together by William Sonoma, a well known retailer in the USA. Borrowing color stories from known sources not only gives you a jump start on what works together, most times these colors are already available in stores. 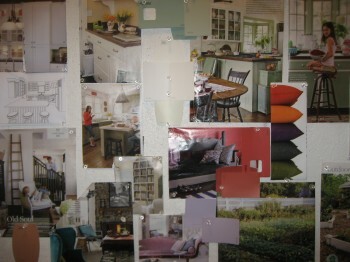 Here is an inspiration board that I put together when collecting ideas for my new home. I dig deep for inspiration using magazines and real life situations to form my initial dream board. * Always reach for the sky and you will come out on top at the finish line. * Fill your inspiration board with more than you can imagine, this gives you more choices when it comes to making the final decision. * Choose what you love and figure out how to find it later. This entry was posted in Color by Patti Boker Elkon. Bookmark the permalink.